Doomsday came and went, but the world keeps ending every night. Due to some sort of pathogen, infected survivors have lost their short and long term memory. Out of sight means out of mind. That applies to time spent sleeping as well. 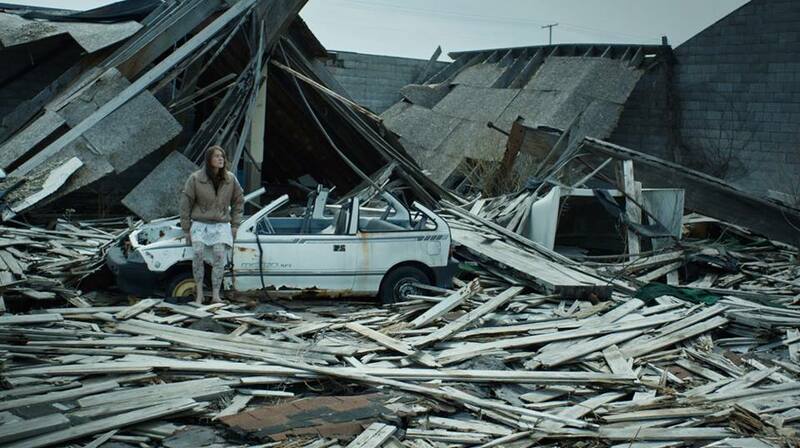 Nevertheless, a motley remnant of humanity will carry on as best they can in Claire Carré’s Embers (trailer here), which screened as the closing night film at the 2016 Slamdance Film Festival. When a man and a woman wake up next to each other, they reasonably assume they are in some sort of relationship. When they notice their matching cloth bracelets, it cinches it for them. Just as they have so many times before, the couple give each other names, hoping what impulse provides, will be correct. This time, it is Ben and Jenny. Like characters from a Beckett play they will head into the post-apocalyptic environment for no apparent reason, but at least they have each other. Meanwhile, a young boy witnesses some of the best and worst of human nature, as he falls in with a series of temporary protectors. The one known as “Teacher” in the credits seems to be functioning at a slightly higher level than the rest of the shuffling dregs, but he ought to be. He was once a research psychiatrist specializing in human memory. In contrast to those above ground, Miranda is painful aware of the slow passage of time. She has remained infection free, living with her father in an underground bunker facility. However, the isolation is taking a toll on her mind and soul. Perhaps the strangest thing about Embers is that it is not nearly as depressing as it sounds. It is sort of like Dr. Moreau fused Cormac McCarthy’s The Road with the Adam Sandler vehicle 50 First Dates, but the vibe most closely resembles the delicately balanced Perfect Sense. Frankly, Embers is unusually poignant, especially when focusing on Ben and Jenny (or Max and Katie, as they will soon call themselves). The watching them continue to be a couple, despite it all, is really quite touching. Jason Ritter and Iva Gocheva develop some remarkable chemistry together, especially considering how much relationship shorthand their situation precludes them from sharing. Embers also gives immediately recognizable but hard to place character actor Tucker Smallwood an opportunity to shine as the Teacher. Mathew Goulish is also acutely tragic as the boy’s short-lived Guardian. However, Greta Fernández is a problematically distant (like a cold fish) as the profoundly privileged Miranda. 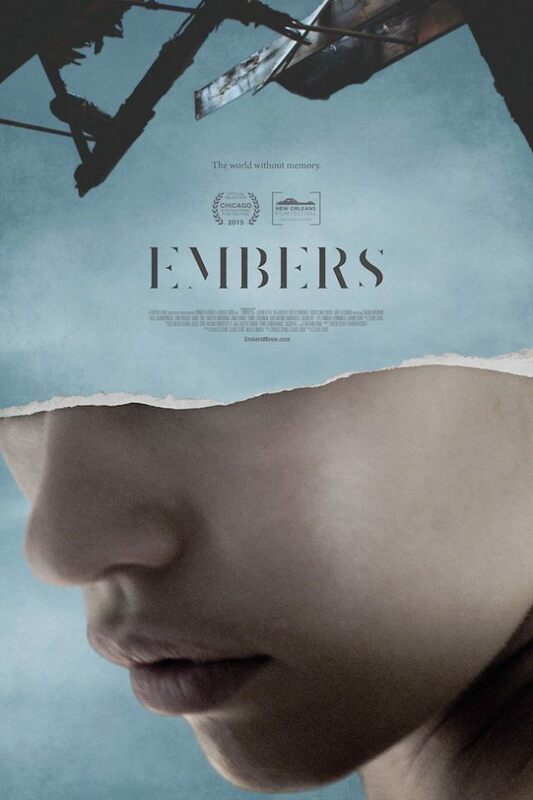 Throughout Embers, it is rather inspiring to see love endure, in the face of such existential challenges. It is also pretty scary how convincingly Gary, Indiana stands in for a catastrophic urban wasteland. Maybe the city fathers should reconsider their current economic development policies. Regardless, Embers is a highly distinctive and mature post-apocalyptic science fiction fable. Recommended with conviction for cerebral viewers, it screens on February 19 and 21 at the Oxford Film Festival, after closing out this year’s Slamdance in Park City.